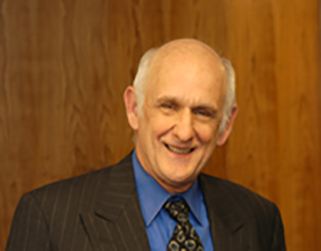 Reid Peyton Chambers joined the firm in 1976 as a founding partner. Mr. Chambers specializes in litigation, tribal reserved water rights and issues arising out of the federal trust responsibility. He has represented tribes and Alaska Native interests with respect to land claims, water rights, hunting and fishing rights, reservation boundary issues, Alaska tribal rights and immunities, gaming law, tribal court jurisdiction, state and tribal taxation and coal development. Mr. Chambers has also codified tribal laws and engaged in advocacy on behalf of a variety of tribal interests before state and federal agencies and Congress. Mr. Chambers practiced privately in Washington, D.C. from 1967 to 1970. From 1973 until joining the firm, Mr. Chambers served as Associate Solicitor for Indian Affairs of the U.S. Department of the Interior, the Department’s chief legal officer with responsibility over Indian and Alaska Native matters. Mr. Chambers has published two oft-cited articles in the Stanford Law Review on federal Indian law issues, as well as a number of articles on Indian reserved water rights. He has testified on Indian issues at the invitation of committees of Congress and frequently been invited to speak at the Federal Bar Association’s Indian Law meetings and conferences sponsored by other entities such as the Rocky Mountain Mineral Law Foundation. Mr. Chambers has argued numerous cases before federal district and courts of appeals, and before state tribal courts and appellate courts. In 2003, Mr. Chambers represented the Bishop Paiute Tribe before the U.S. Supreme Court in Inyo County v. Paiute-Shoshone Indians of the Bishop Community, 538 U.S. 701 (2003). For over thirty years, Mr. Chambers has taught a seminar on federal Indian law at Georgetown University Law School. He has also taught this seminar several times at Yale Law School, and in 1988, served as the Chapman Distinguished Visiting Professor at Tulsa University Law School. Mr. Chambers taught law for three years (1970-1973) as a professor at the University of California at Los Angeles (UCLA), working extensively during those years with the Native American Rights Fund and California Indian Legal Services.